Behavior specialists generally agree that difficult behaviors arise from unmet needs. How adults respond is critical if a child is going to learn new ways to communicate. Humans spend about 80 percent of their brain energy trying to belong. This can explain a lot when a child with a disability feels isolated or unwanted and starts to act out. Positive Behavior Interventions and Supports (PBIS) is a framework that a growing number of schools nationwide are using to improve school climate, which refers to the way a school feels to students and staff. Members of the U.S. Congress discussed PBIS on February 27, 2019, when a committee heard public testimony regarding a bill that would regulate use of isolation and restraint in public schools. Positive behavior interventions are considered “protective” by behavior experts, and there is evidence that isolation and restraint cause trauma. Read on for questions families can consider when they are trying to understand what’s happening with a child and how to intervene for the best outcomes. Families and teachers often struggle to figure out what to do when a child’s behavior at school is getting in the way of learning. How adults respond to unexpected behavior can impact whether an incident leads down a path of worsening problems or toward improved learning. 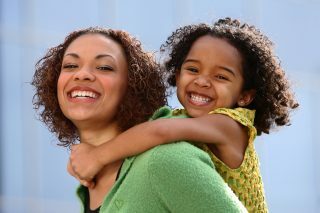 Parents can help by understanding as much as possible about what the child might be trying to communicate or overcome. “Difficult behaviors result from unmet needs,” says David Pitonyak, PhD, an educational consultant, author and public speaker who specializes in behavior supports for children with disabilities. Pitonyak speaks nationally and provides a variety of online tools to help families and educators. “Supporting a person requires us to get to know the person as a complicated human being influenced by a complex personal history,” Pitonyak says. “While it is tempting to look for a quick fix, which usually means attacking the person and his or her behavior, suppressing behavior without understanding something about the life the person is living is disrespectful and counterproductive…. A running theme in Pitonyak’s work is that adults need to strengthen their own social and emotional skills in order to effectively help children. He often quotes another specialist in the field, Jean Clark: “A person’s needs are best met by people whose needs are met.” In other words, parents and teachers need to practice self-care and regulate their own behaviors and emotions to provide the best examples to children. Read on for a check-list that adults can use to develop their own skills while they help children. Pitonyak is among specialists who believe that children act out because they feel misunderstood, devalued, lonely or powerless. Other growing themes are the importance of belonging and the human need to contribute meaningfully to a social group. Neuroscientists have found that humans spend about 80 percent of their brain energy trying to belong. This can explain a lot when a child with a disability feels isolated or unwanted and starts to act out. Who are the adults at school that my child trusts? Does my child have special jobs or responsibilities, so he/she feels important at school? Is someone regularly checking in with my child to see what’s going on? How are positive behavior skills being taught and reinforced? Positive Behavior Interventions and Supports (PBIS) is a framework that a growing number of schools nationwide are using to improve “school climate,” which refers to the way a school feels to its students and staff. Information about federal guidelines and programs related to PBIS and MTSS are available online from the U.S. Department of Education’s Office of Special Education Programs (OSEP) and the Office of Elementary and Secondary Education (OESE). PAVE provides an article about PBIS, written by Kelcey Schmitz, from the Center for Strong Schools at the University of Washington, Tacoma. The United States Congressional Committee on Education and Labor received training about PBIS on February 27, 2019, when they heard public testimony (YouTube video): Classrooms in Crisis: Examining the Inappropriate Use of Seclusion and Restraint Practices. Congress is considering legislation that would create a federal standard on accepted practice, accountability and training for teachers who might use isolation or restraint in an emergency. The State of Washington allows isolation and restraint by trained school staff if a student’s behavior poses an imminent threat of serious bodily harm. PAVE’s comprehensive article about discipline at school includes more information and resources about isolation and restraint, which is described by state law as an emergency response and not a form of disciplinary action. Among those who provided public testimony for the U.S. Congress was George Sugai, PhD, professor of special education at the University of Connecticut who was a key developer of the PBIS framework. At the public hearing, Sugai spoke about the reduction in trauma among schools who embrace PBIS. He said teachers report more positive feelings toward their work and that students show more progress toward specific educational goals. “PBIS is a protective strategy,” he said. 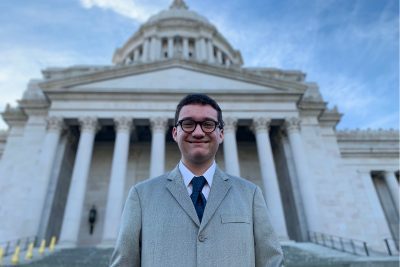 Washington’s Office of Superintendent of Public Instruction (OSPI), which oversees the state’s school districts, has a variety of programs underway to address school climate and improve staff training in Social Emotional Learning, equity in student discipline and development of Compassionate Schools. The state encourages use of a Behavior Intervention Plan (BIP), which promotes positive support and skill-building for expected school behavior. The plan is to prevent the need for disciplinary action or emergency response. A BIP is developed with data collected through a Functional Behavior Analysis (FBA), which is a best-practice tool for schools to figure out what help a student with challenging behavior might need. OSPI’s website includes examples of the FBA and BIP in its Model Forms. 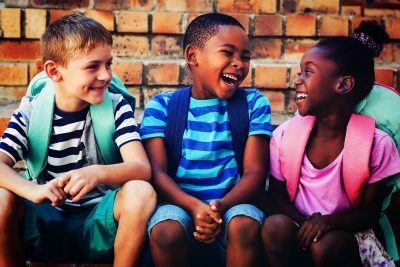 A state workgroup to study Social Emotional Learning (SEL) in October 2016 proposed a set of Standards and Benchmarks to help school staff identify how best to help children who struggle with their behavior, social skills and emotional regulation. The group established six standards with specific benchmarks. A report from that workgroup includes a chart of the standards (Page 3). Families can share this information with schools when trying to identify what’s happening with a child and what interventions might help. Below is a brief overview of those SEL standards and a few questions parents can bring to the table. In each target area, parents can ask what school staff are doing to help. This check-list also can be a good starting-point for adults who want to work on their own emotional regulation and coping strategies. Can the student identify and understand emotions? What is the student good at or interested in? How are family, school and community agencies helping as a team? Can the student express emotions and manage stress constructively? What problem-solving skills are in place or need to be learned? Can the student understand and work toward a goal? Can the student show problem-solving skills? Can the student request what he/she needs? Can the student recognize another person’s emotions? Can the student show respect for others who are different? Can the student accept another cultural perspective? Does the student have ways to communicate? Can the student take steps to resolve conflicts with other people? Does the student have constructive relationships with a variety of people? Does the student feel responsibility as part of a community? Can the student work with others to achieve a goal? Does the student contribute productively and recognize his/her contribution? PAVE provides a series of three articles with more information and resources about Social Emotional Learning (SEL). Many parents struggle in their communications with the school when a child’s specific disability and its impact on behavior is not well understood. A place to research specific disabilities related to mental health, such as Oppositional Defiance Disorder (ODD), Attention Deficit Hyperactivity Disorder (ADHD) or Disruptive Mood Dysregulation Disorder (DMDD) is the Child Mind Institute. A resource for better understanding how children might behave in response to trauma or Adverse Childhood Experiences (ACEs) is the Children’s Health Foundation. An agency called GoZen offers an online article about Eight Ways a Child’s Anxiety Shows up at Something Else. Included in the list: difficulty sleeping, anger, defiance, lack of focus, avoidance, negativity, over-planning and “chandeliering,” which refers to a full-blown tantrum that seemingly comes out of nowhere. In addition to its free online articles, GoZen provides fee-based programs on resilience. Students with disabilities are disciplined twice as often as non-disabled peers. Washington is taking actions to remedy the inequities. Read on for examples of the new state rules and where to go for more information. Schools are required to provide education and support before resorting to discipline. This article includes resources and information to help families ensure that students are receiving the best-practice services they need and that disciplinary actions are non-discriminatory. If the school calls to send a child home, parents can ask whether the student is being suspended. If the school is not taking formal disciplinary action, parents are not required to take a child home. If the action is a formal suspension, specific rules apply. Read on for more detail. Some disabilities make it difficult for students to communicate distress or manage their behavior in ways that schools expect or require from typically developing students. Data clearly show that students with disabilities are disciplined more frequently than their non-disabled peers. 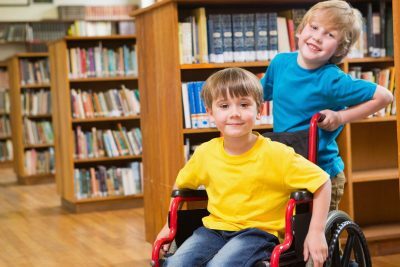 By learning about state and federal guidelines, parents can advocate to ensure that students with disabilities are receiving the services they need to successfully access school and that disciplinary actions are non-discriminatory. Parents can empower themselves by learning the federal framework for special education protections. Students who receive services or accommodations through the Individuals with Disabilities Education Act (IDEA) or through Section 504 of the Rehabilitation Act of 1973 are guaranteed access to a Free Appropriate Public Education (FAPE). Disciplinary actions that deny access to FAPE may be discriminatory. Schools follow specific procedures when they discipline students with special needs to avoid violations of FAPE. For example, a student with an Individualized Education Program (IEP) cannot be excluded from school because of behavior that results from a disability: Read on for further information about Manifestation Determination Hearings. Also, schools are required to provide education and support before resorting to discipline for children who struggle with behavior because of their impairments. Federal laws also can protect students who haven’t yet been identified as having disabilities. 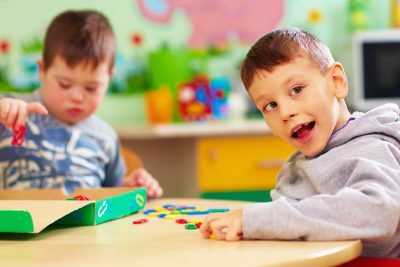 School districts have a duty to evaluate students to determine eligibility for special education if they exhibit behavior that may indicate a disability. Under IDEA, this responsibility is called the Child Find mandate. Suspension, expulsion, isolation or restraint due to unexpected behavior can initiate an evaluation process, and students who qualify for services can retroactively be afforded protections from the IDEA or Section 504. The Office of Superintendent of Public Instruction (OSPI), which oversees all Washington school districts, in July 2018 adopted new state guidelines related to discipline. Priority is placed on positive interventions to avoid disciplinary actions that disrupt learning. A four-page Parent Guide is available from OSPI. Also available is a Menu of Best Practices and Strategies. Restorative justice, behavioral health support and social skills instruction are on the menu for a more proactive, student-centered approach. The state includes requirements for parent notification and family engagement in the new rules, which are being implemented over two years, 2018-2020. “The state discipline rules were created four decades ago,” says Chris Reykdal, Superintendent of Public Instruction. “Our students and schools are vastly different today. The new rules provide more clarity and they allow for student, family, and community input in developing local discipline policies. OSPI reports that 3.5 percent of all students were suspended or expelled during the 2016–17 school year. Among students receiving special education services, the percentage was 7.1 percent. For African-American students, the percentage was 7.4 percent. For Latino students, the rate was 4.1 percent. Students of color who also have disabilities are impacted at the highest rates. Seattle’s King 5 News on Oct. 25, 2018, broadcast a news report about the disparities in discipline for students with disabilities. In 2016, the Washington Legislature passed House Bill 1541 to help close opportunity gaps in learning. OSPI spent two years researching the statutes and guidance. In rewriting the rules that were adopted in July 2018, the agency gathered feedback from families, students, educators, and community members through three public comment periods and eight public hearings. New state policies are designed to discourage disciplinary actions that take a child out of the learning environment and encourage family engagement and positive behavior supports and other evidence-based practices. OSPI’s one-page introductory handout for parents outlines the new guidance. According to OSPI, the new rules aim to make policies fair statewide. They require districts to include parents and guardians when updating discipline policies. The overarching goal is to keep children in school and learning and avoid severe or exclusionary disciplinary measures. When are students entitled to a Manifestation Determination Hearing? In Washington, a student with an identified disability may be suspended for a short period of time if there are safety concerns or if other interventions are failing to control behaviors that cause a significant disruption. However, if a suspension or an accumulation of in- or out-of-school suspensions within a semester or trimester totals 10 days, the school holds a Manifestation Determination Hearing to determine whether the behavior resulted—or “manifested”—from the disability. This hearing is a distinct process for students with IEPS or Section 504 accommodation plans and is separate from any other general education disciplinary hearings or procedures. Removal for more than 10 days is considered a change in placement and could violate the school district’s responsibility to provide the special education student with FAPE. If a student’s behavior manifested from disability, the school and parents meet to discuss program or placement changes likely to help. A Manifestation Determination hearing can also initiate an evaluation process for students not yet identified as needing special education services or disability-related accommodations. Regardless of whether the student has qualified for services, the hearing can trigger a Functional Behavior Assessment (FBA), which can be done for students with or without IEPs or Section 504 plans. 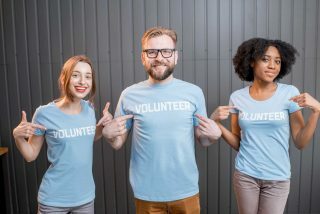 Keep reading for more detail about the FBA and how it’s used to generate positive behavior interventions and supports. The IDEA guarantees parent participation in the IEP process, which includes disciplinary hearings and any other formal meetings in which a student’s educational program or placement is reviewed or amended. If the conduct is determined to be unrelated to a disability, then school personnel may use general education discipline procedures. In that case, the school must still provide any special education services that the student has already been found to need. The IEP team decides the appropriate alternative setting and special education services to meet the student’s needs during the suspension. State law requires that all suspended and expelled students have an opportunity to receive educational services (RCW 28A.600.015). OSPI issued a bulletin September 8, 2016, that states, “When educational services are provided in an alternative setting, the alternative setting should be comparable, equitable and appropriate to the regular education services a student would have received without the exclusionary discipline.” The bulletin mentions alternative schools, 1:1 tutoring and online learning as examples of alternative settings. Note: If a student’s conduct involves Special Circumstances – weapons, illegal drugs, or serious bodily injury—a student may be removed for up to 45 school days regardless of whether the student’s behavior was a manifestation of disability. However, a manifestation determination hearing still is required within the first 10 days of removal from school and educational services still are provided. Do you need to pick up your student every time the school calls? The ACLU booklet commits a page to addressing the question, “Do you need to pick up your student every time the school calls?” A parent can ask whether the student is being suspended. “If your student has not been officially suspended,” ACLU advises, “The school cannot force you to pick up the student. Specialized instruction designed to meet a student’s unique needs can include education in social communication, self-regulation, choice-making and other areas of Social Emotional Learning (SEL) that may impact behavior. These strategies are well recognized as best-practice for keeping children engaged in school and avoiding problems that might lead to discipline. In addition, schools can conduct a Functional Behavior Assessment (FBA) to develop a Behavior Intervention Plan (BIP). A BIP is developed to proactively help a child learn expected behaviors and shift away from circumstances that might lead to escalations. The BIP identifies target behaviors that are disrupting education and determines “antecedents,” which means conditions or events that occur before the targeted behavior. A BIP is intended to support “replacement” behavior so a student can develop skills that prevent escalations and keep the student in school and learning. A BIP can be a stand-alone plan or can work with an IEP or a Section 504 accommodations plan. OSPI offers guidance to schools and families about FBA/BIP process. Another place to find valuable information is through the Parent Center Hub, a website operated by the Center for Parent Information and Resources (CPIR). On August 1, 2016, the U.S. Department of Education published a Dear Colleague Letter for public-school staff: “Recent data on short-term disciplinary removals from the current placement strongly suggest that many children with disabilities may not be receiving appropriate behavioral interventions and supports, and other strategies, in their IEPs.” The letter included data that 10 percent of all children with disabilities, ages 3-21, were subject to a disciplinary removal from school. Children of color with disabilities faced an even higher rate. In 2014, the federal government issued guidance to discourage disciplinary actions that discriminate against students with disabilities, particularly students of color. A variety of federal sources have highlighted disparities, and the Center for Civil Rights Remedies and the Charles Hamilton Houston Institute for Race and Justice in April 2018 issued the first state-by-state estimate of lost instruction due to discipline for students with disabilities. The data include a finding that children of color who also have disabilities lost 77 more days of instruction because of disciplinary actions than peers who are Caucasian. However, in December 2018, a federal school safety commission recommended that the U.S. Department of Education rescind the 2014 guidance intended to prevent discriminatory practices. OSPI responded by stating that Washington State’s policies and updated guidance would be unaffected. “Rescinding the 2014 guidelines will have no effect on Washington’s laws and rules related to student discipline…and will have no effect on OSPI’s enforcement of civil rights laws that prohibit discrimination in the administration of student discipline,” OSPI stated. Washington discipline laws include statutes in the Revised Code of Washington (RCW) and rules in the Washington Administrative Code (WAC). Washington State student discipline laws apply to all K–12 students. Students with disabilities are subject to both general education and special education rules and statutes. For the most up-to-date information about general education discipline procedures and the rules changes underway, visit OSPI’s Student Discipline page. For more information about special education discipline procedures, visit OSPI’s Special Education Behavior and Discipline page. The state has specific rules related to the use of isolation and restraint, which are implemented only when a student’s behavior poses an imminent likelihood of serious harm and are discontinued when the likelihood of serious harm has passed. Isolation and restraint are not used as a form of standard discipline or aversive intervention. When severe disciplinary actions become frequent, schools might ask the parent/guardian to sign an Emergency Response Protocol (ERP) for an individual student. Families are not required to sign this. The ERP specifically explains what the school’s policies are related to isolation and restraint and what the training requirements are for staff who are authorized to provide isolation and restraint. Parents can request a copy of the district’s general education policies on this topic. The ERP can include a statement about how parents are contacted if the school uses isolation or restraint. Schools are required to provide a report to the parent/guardian any time formal disciplinary actions are taken and any time that their child experiences isolation or restraint.